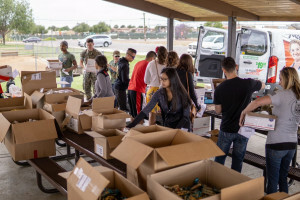 On June 16, 27 volunteers met at Mills Park, Marine Corps Air Station (MCAS) Miramar, to assemble MWDTSA’s Q2-2018 boxes. 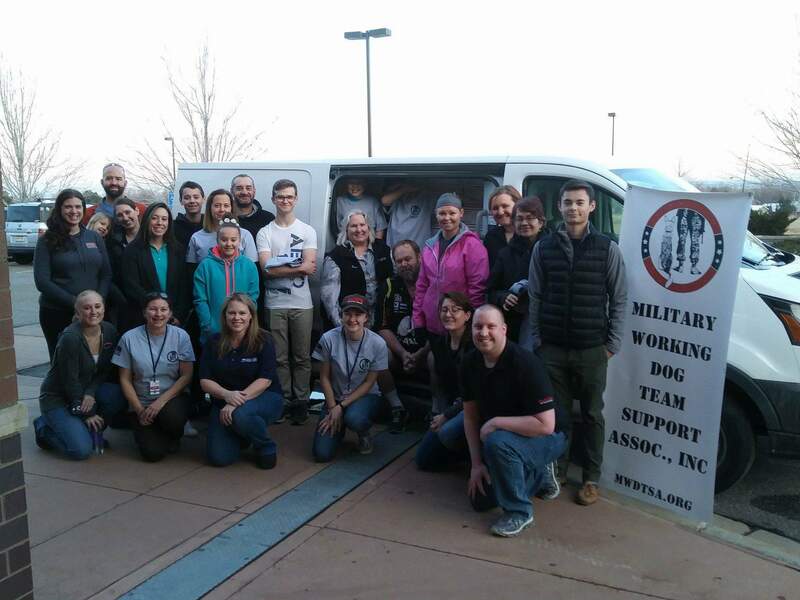 Led by MWDTSA volunteer Jesca Daniels and Steel MMA & Fitness, the packing team also included representatives from three other groups. Faith, Kailin and Ashley helped on behalf of Pinups For Vets. 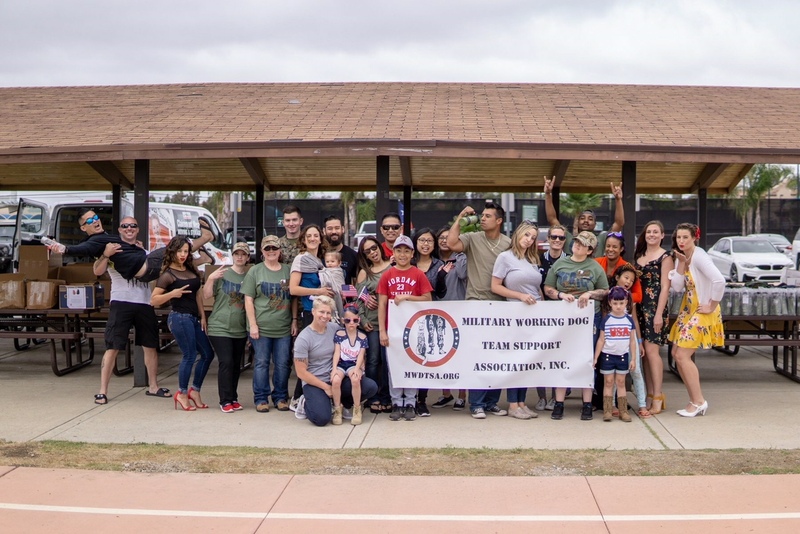 As well, handlers and family members from MCAS Miramar and 32nd Street Naval Base joined the effort. 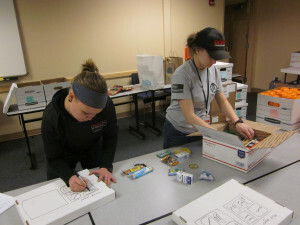 The group packed 200 12”x12”x 5” USPS flat-rate cartons for military working dog teams in the Army, Navy, Air Force, and Marines. “Each year at our July 4th celebration, folks shout ‘Merica 726,383 times,” quips Jesca. That might be a slight exaggeration, but the tradition inspired the humorous Q2 graphic design. 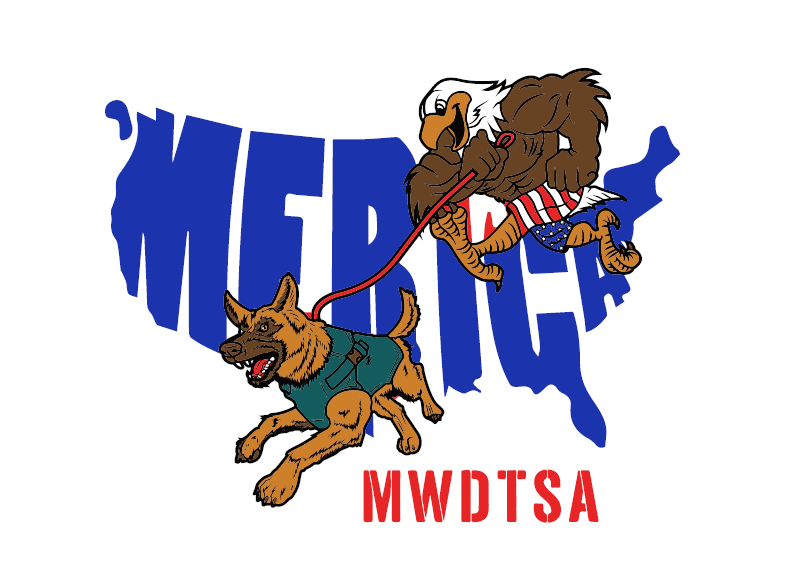 Jesca painstakingly penned Frank the Freedom Eagle and Merica the Mal, with the goal of showing cause, pride, and humor. Marvin Madariaga incorporated Jesca’s illustration into a rock-star t-shirt design. 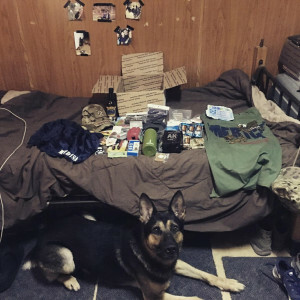 This care package also included athletic shorts and a baseball cap for each handler. 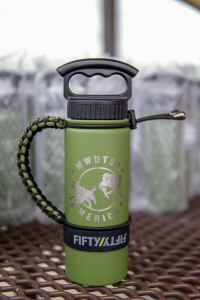 MWDTSA volunteer Jenny Gan adapted the drawing into a graphic for the FIFTY/FIFTY bottle. 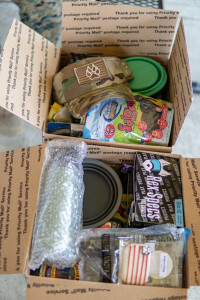 The majority of Q2-2018 care package contents came from veteran-owned businesses. 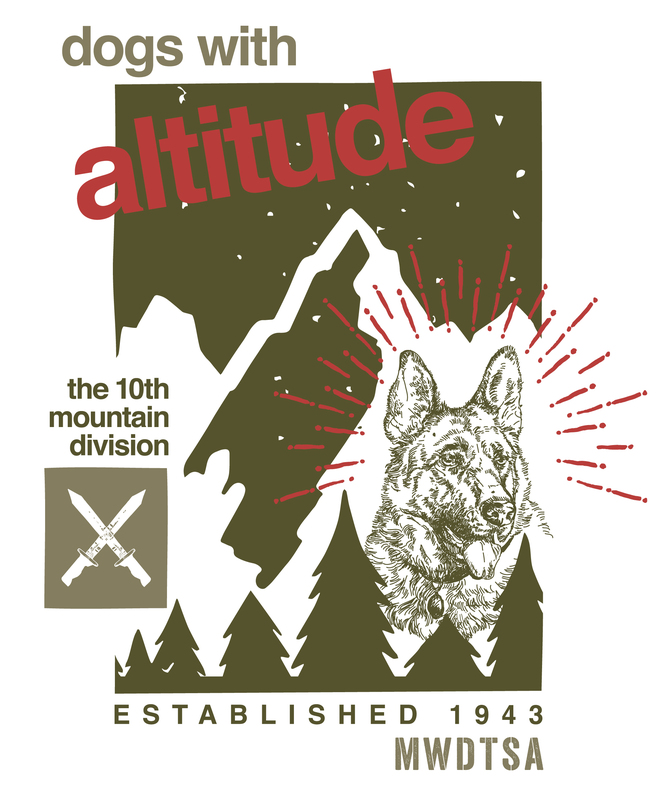 Logistics for MWDTSA care packing events vary from location to location. 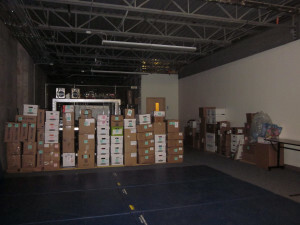 In this case, the United States Postal Service could not drive onsite for the packing event, due to base security. So, Jesca’s team rented a U-Haul to bring supplies to the park and later take the completed packages to the Post Office. 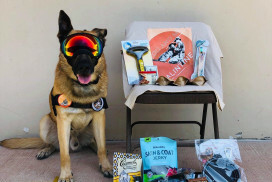 From Rex Specs to protect Special Operations dogs from rotor wash and desert sandstorms to collapsible bowls to keep MWDs hydrated, care packages include both practical items and treats for handlers and their four-legged comrades. 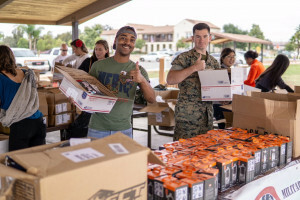 Volunteers arranged product cartons on picnic tables to facilitate a care package assembly line. 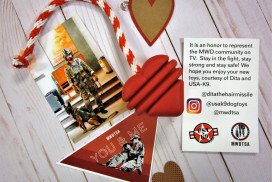 For information on how you can support MWDTSA’s quarterly care packages, see https://mwdtsa.org/donate/. 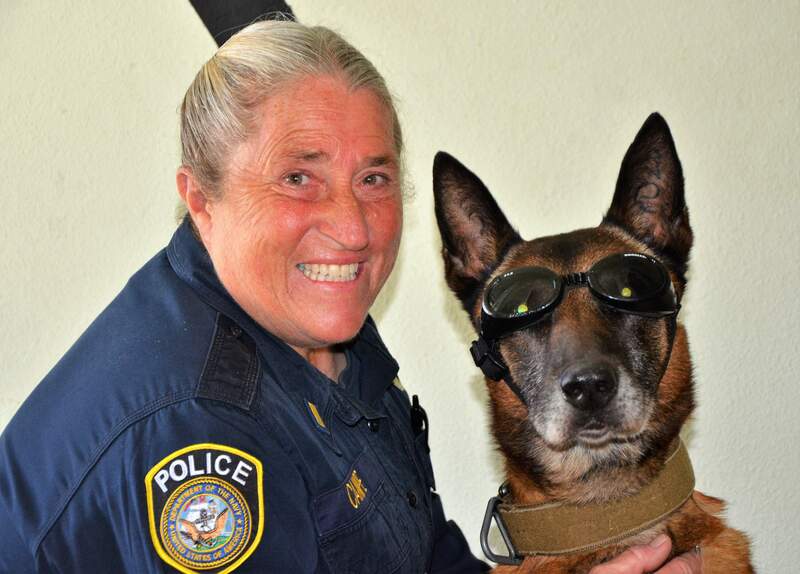 Above: Officer Millie Canipe poses with her long-time partner Rex at Naval Station Mayport. Anyone can be cool, but awesome takes work. These two are awesome. Base pass in hand, security waved us through the Visitor’s Gate and aboard Naval Station Mayport. 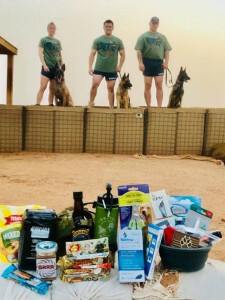 Large boxes and bags neatly stacked behind the driver’s seat busted at the seams with goodies for the military working dog teams at Mayport kennels. Naval Station Mayport is one of three major Navy installations in the greater Jacksonville, Florida area. 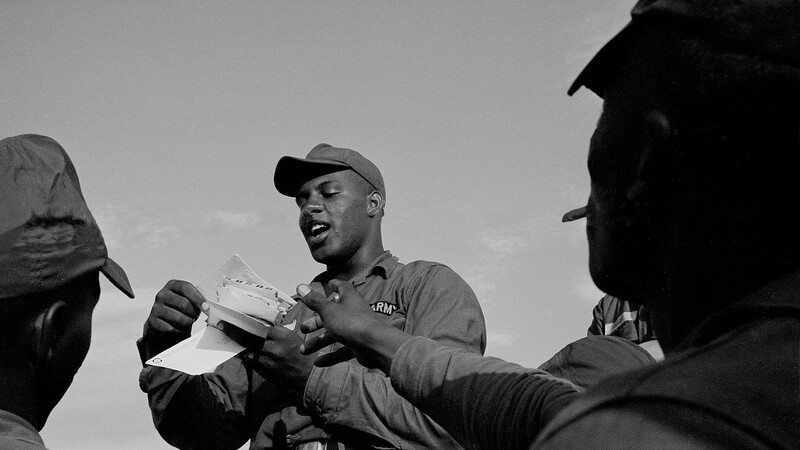 It’s home to the 4th Fleet, helicopter training squadrons, and some of the most polished military working dogs in the Navy’s command. In addition to the warm greeting from Kennel Master MA1 Roberto Aguilar, the Atlantic Ocean breeze welcomed us as we drove onto the base. It was just after 9:00 AM, and the temperature was rising nicely under a clear, sunny sky in north Florida. We were headed for a Navy kennel visit. Could this day really get much better? The beach here is wide and lovely. The fence line separates the base beach from the public beach. Northern Florida has some wonderful waterfront and parks to explore. Mayport is a stunning base, and we were delighted to share a few hours with the great teams here. As we rounded the corner into a base housing neighborhood, we followed the Kennel Master’s truck. 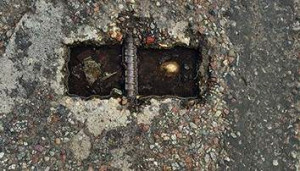 It turned into a stubby driveway in front of a low-slung pastel Florida house. We exited the van, confused about whose house we were visiting. Simultaneously, handlers poured out to greet us. Our first surprise? The yellow house with the screened-in porch and breezy carport was actually the kennel office. Equally mind-boggling, the actual dog kennels also blended into the neighborhood, occupying a similar home in the same cul-de-sac. At most bases, a large kennel yard sits next to the kennel. Not here. 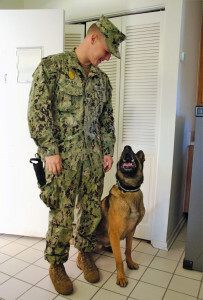 At Mayport, handlers take their partners to various base parks where they train. To my absolute delight, I found a second big surprise. The “civilian contract handler” included in my planning numbers was, in fact, retired Chief Petty Officer Millie Canipe. Millie and I first met at a huge Fort Benning Vietnam Dog Handler event that I coordinated back in the spring of 2004. 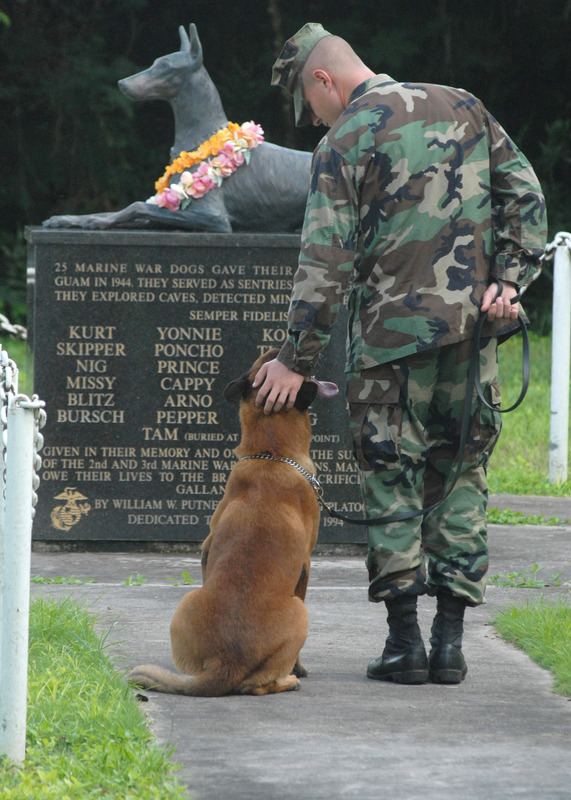 In 2005, even before MWDTSA became a thought, four friends and I visited the spotless kennels at Kings Bay Naval Submarine Base near St. Mary’s, Georgia, where Millie served as Kennel Master. That Kings Bay kennel visit was one of my favorite days ever, tucked into a special spot in my heart. Her kennel was filled with gorgeous and very social German shepherd dogs who excelled in their work. 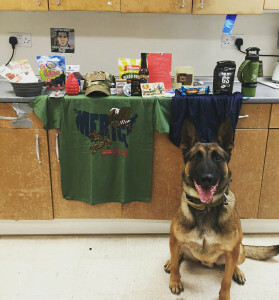 In fact, MWDTSA’s first ever hero dog, Rex D012, hailed from the Kings Bay kennel. 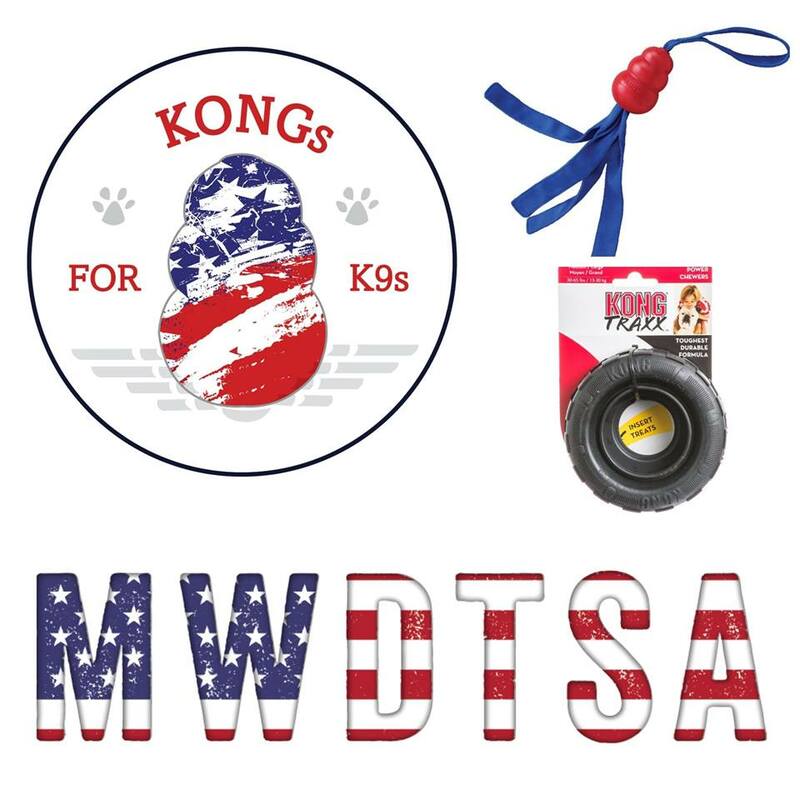 Millie’s enthusiasm and wonderful handlers impacted MWDTSA and my life immensely. How many people can say they’ve been on a nuclear submarine, successfully negotiated a Navy shooting simulator, and had an opportunity to meet the Commanding Officer in charge of the East Coast’s nuclear fleet? 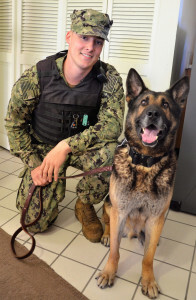 In addition to Millie, there were three other teams available at Mayport that day with dogs trained in explosives, patrol, and narcotics. Millie dashed off to get her partner, another dog named Rex, who at 11 was the oldest dog in the kennel. Rex and Millie have been together since 2010. That length of partnership is unusual for active duty personnel as they change locations more frequently, but their civilian counterparts can add stability with a more permanent placement. 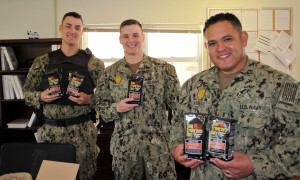 Three handlers show off their new San Francisco Bay Gourmet Coffee. Left to right: MASN Noonan, MA2 Stanley, and MA1 Aguilar. 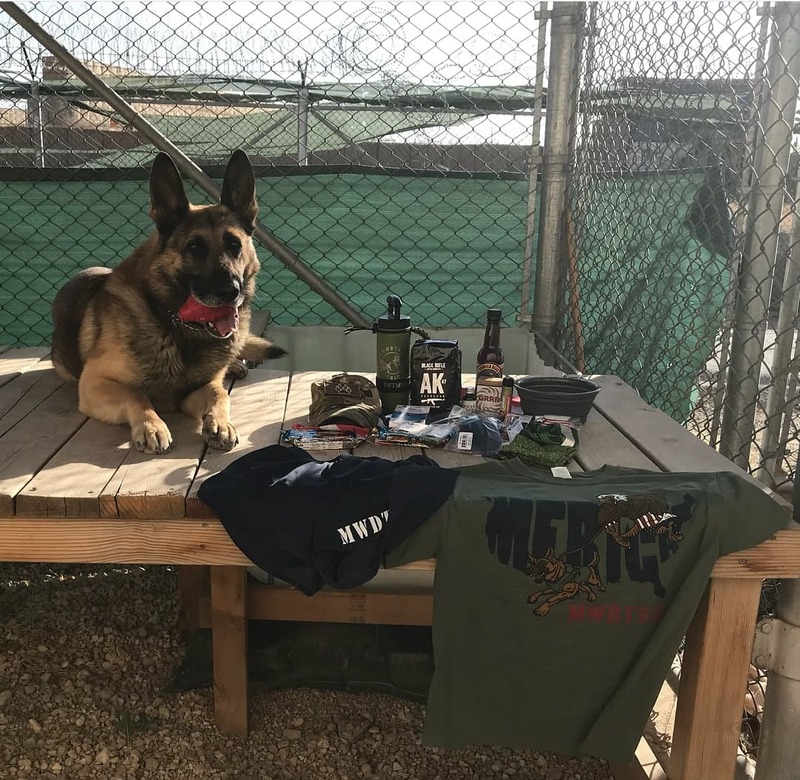 After Rex arrived, we began opening up the goodies that MWDTSA had brought to share with him. Rex enthusiastically grabbed his KONG toy to chase and chew, but showed little interest in the dog thermometer. It monitors his core body temperature to help keep him safe while working in the heat of the Florida sun, but much less fun on his end. 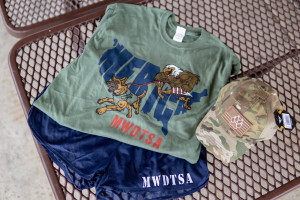 MWDTSA also presented T-shirts, patches, and coffee mugs to the handlers. 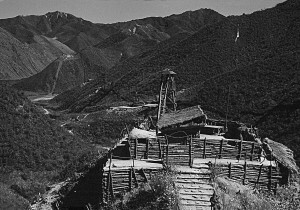 The San Francisco Bay Gourmet Coffee was immediately pressed into use in the kennel’s well-worn coffee maker. Soon, scrumptious coffee smells wafted throughout the small kitchen area. It’s always good to keep our protectors caffeinated, and San Francisco Bay Gourmet Coffee has proven to be a steadfast partner. 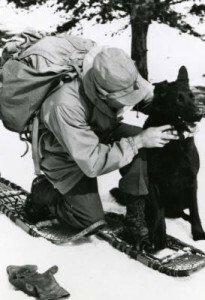 MASN Noonan kneels with MWD Mirko. MA2 Stanley with MWD Mio. 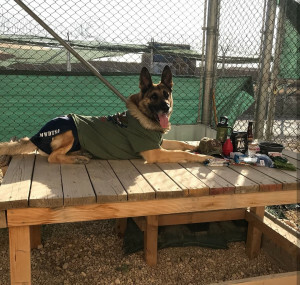 Next in for a meet and greet, uber-handsome MWD Mirko and his partner, MASN Patrick Noonan, visited and posed for some splendid photos. Mirko, an 8-year-old rich dark German shepherd dog, has a confident smile and stunning face. A dual-purpose dog, he spends part of his days patrolling from the back of a squad car and the other part using his nose to find bad things. Also dual-trained, our next visitor Mio is strong and agile. Five-and-a-half-year-old Mio, a deep black and red German shepherd, exudes a serious demeanor. He and his partner, MA2 Jacob Stanley, posed for our camera. Instead of strutting his stuff, Mio hinted he had little time for nonsense and wanted to get back to work. He let his guard down long enough to smile for the camera, but he returned to full focus moments later. 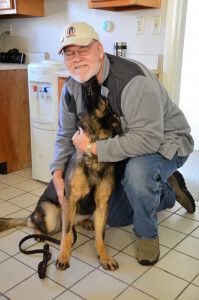 Sindy with MWDTSA volunteer Jerry Whitman. 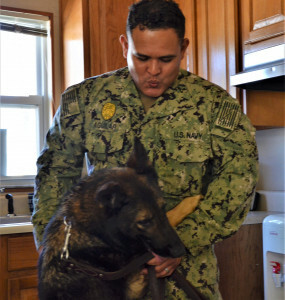 Kennel Master MA1 Aguilar serves as Sindy’s handler. Sindy, the youngster of the crowd at 3.5 years of age, has a wonky ear and loves to find explosives. She buried her face into my husband’s stomach, enjoying some extra scratches and loving. We joked about taking her home with us. They teased in return about letting us! Apparently this dark German shepherd beauty is a “painter,” which means that she’s adept at slinging poo artfully around the kennel walls. 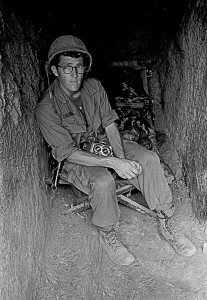 One of the handlers unavailable that day was MA2 Cameron Ruff. 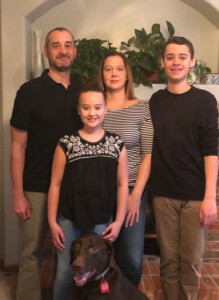 We wondered if his last name helped his cause when he asked to become a dog handler or if it made it “ruff-er.” His comrades shared some good-natured banter about his incredibly à propos moniker. We also enjoyed reconnecting with Divisional Officer Stull, who had been a handler at Kings Bay the last two times we met and was instrumental in setting up this base visit. Mayport has immediate access to deep water and is home to the 4th fleet. 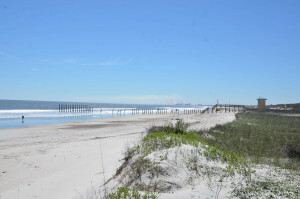 The first stop on the tour was the pristine sandy beach that is available to personnel based at Mayport. Because it was early in the day and during work hours, only a few folks were out walking the beach. Driving on to the shipyards gave us ample opportunity to see a variety of ships in port, including our first littoral combat ships, which were developed for combat in shallower waters closer to the coast. 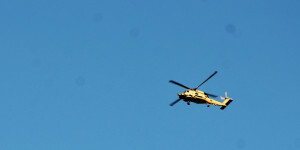 Helicopter takeoffs and landings are common sights near Mayport, as the base hosts several helicopter training squadrons. Helicopter training squadrons bunk here, as well, allowing young Navy pilots an opportunity to learn the skills to meet Naval Station Mayport’s mission of sustaining and enhancing war-fighter readiness. As we looked out through the majestic oaks standing sentinel over the adjacent golf course, we ended our day with delicious burgers from Bogey’s restaurant. We enjoyed our last moments over the lunch table with the great teams from Mayport. 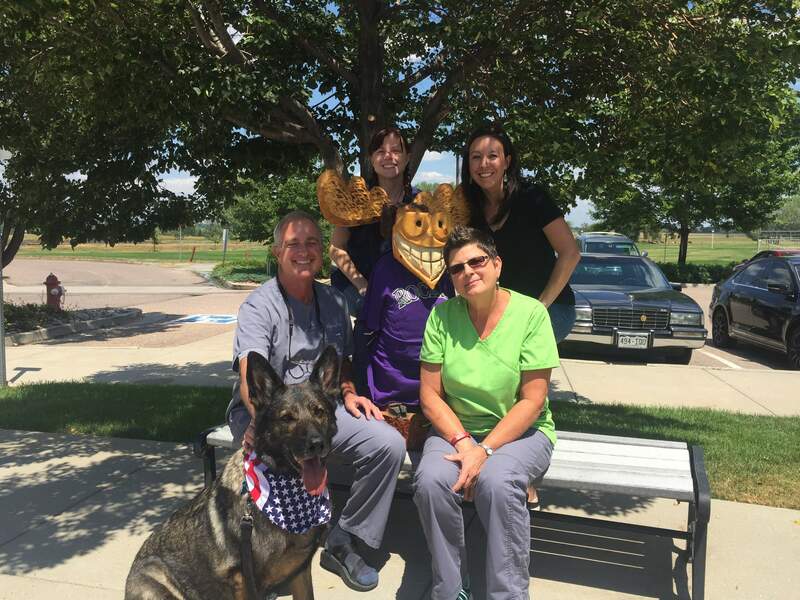 We appreciate their generous hospitality, unending smiles, and partnerships with some of America’s greatest military working dogs. Many thanks to the MWDTSA donors who made this base visit possible. 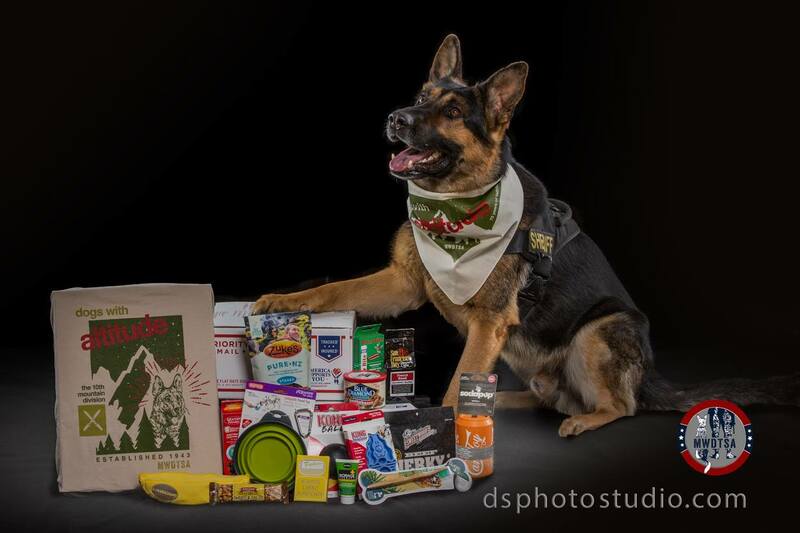 To learn how you can support our nation’s military working dog teams, visit https://mwdtsa.org/.